Caramelle gommose balsamiche con Propoli e Miele - ESI S.p.A. 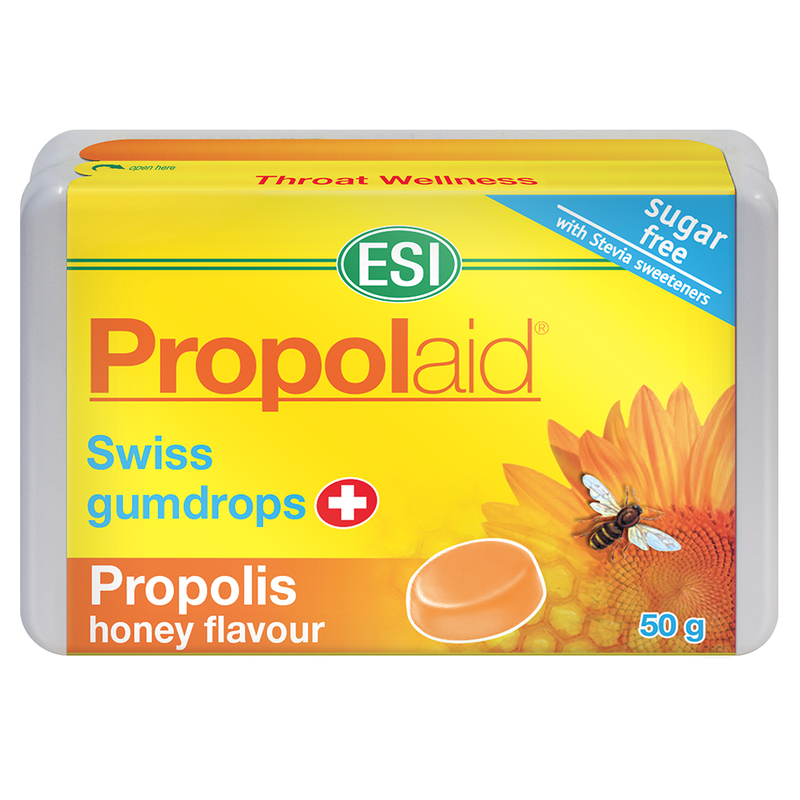 These balsamic honey flavored chewy Propolis gumdrops from Switzerland are sweetened with Stevia extract; a natural sweetener derived from a plant traditionally used in South America known as steviol glycosides (which is 300 times sweeter than sugar and contains no calories). ESI's honey balsamic candies were purposely formulated to enhance the throat's wellbeing and to provide comfort to lungs. Warnings: Excessive consumption may produce a laxative effect.